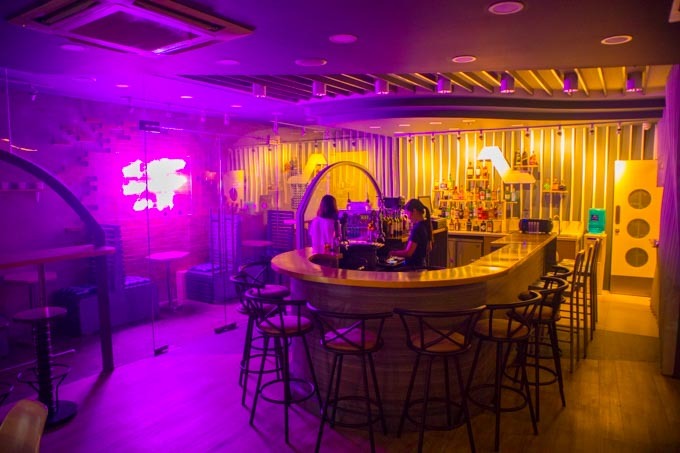 Monday to Saturday, 5 p.m to 2 a.m.
What used to be Il Fiore Earth Cafe and Gelato Lab at the outskirts of Poblacion near Century City Mall is now Bohemia Cafe and Tap House, a new neighborhood hangout pub that serves pescetarian fare and the home of Nipa Brew. It’s Hazel Que’s new food venture after Il Fiore, which is now at SM Megamall. She describes her new space a good place for your Poblacion pub crawl pre- or post-game. 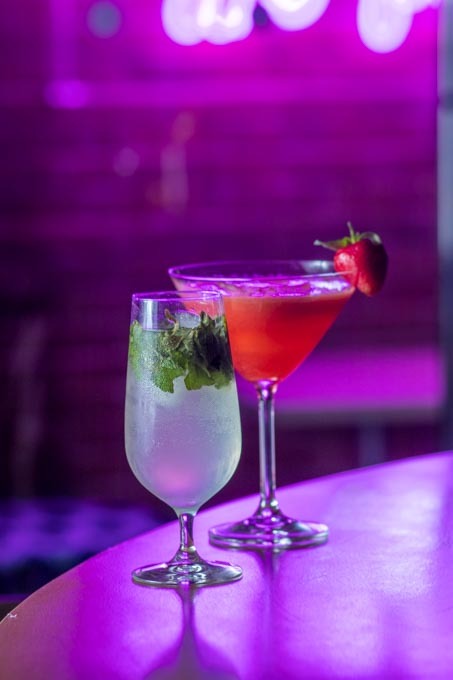 “It’s a place that’s more relaxed than others where you don’t have to dress up and get all fussed up,” says Que. Bohemia Cafe and Tap House dons a pretty eclectic interior design with neon lights on one side and hanging baskets of plants on the other. 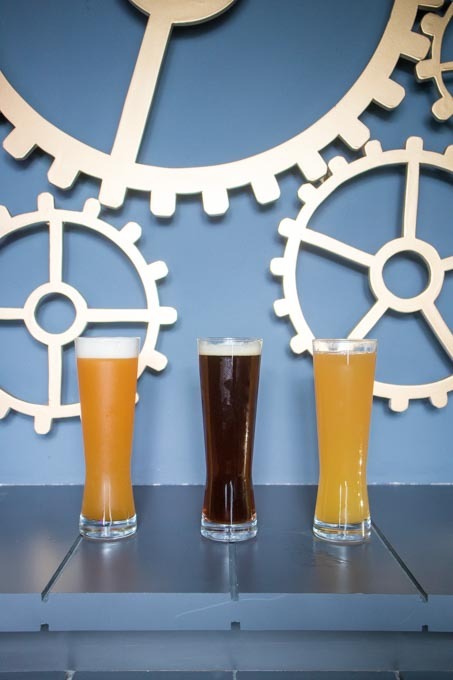 It’s also the home of Nipa Brew where customers can get different varieties of the craft beer and soda on tap. As of now, they have six and the menu will still change if the brewery comes up with seasonal drinks. “We knew Nipa Brew still doesn’t have a home in Poblacion,” she says. Well, they didn’t until Bohemia partnered up with the brewery. The food it offers is a bit special, too. Unlike your usual bar chow, here, seafood takes the spotlight. “The menu consists of seafood-based food. It’s a personal choice, very narcissistic, I know,” says Que, a bit flustered. 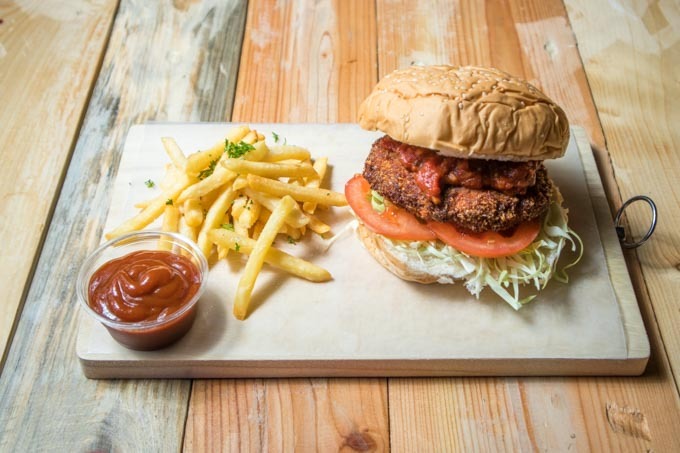 She’s a pescetarian herself and she was the one who conceptualized the menu. Instead of meaty chili, this plate of nachos has corn, beans, and quinoa. 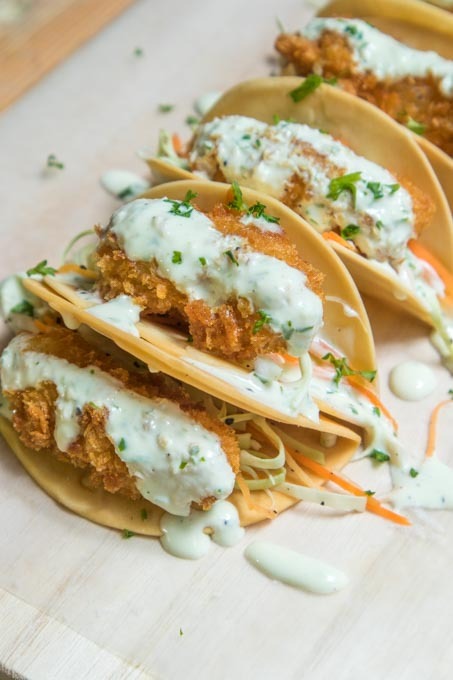 Creamy garlic sauce showers the beer battered fish fillet and Asian slaw in these tacos. Pescetarian doesn’t mean “no nachos, tacos, and burgers.” Que just found healthier alternatives to the meat. 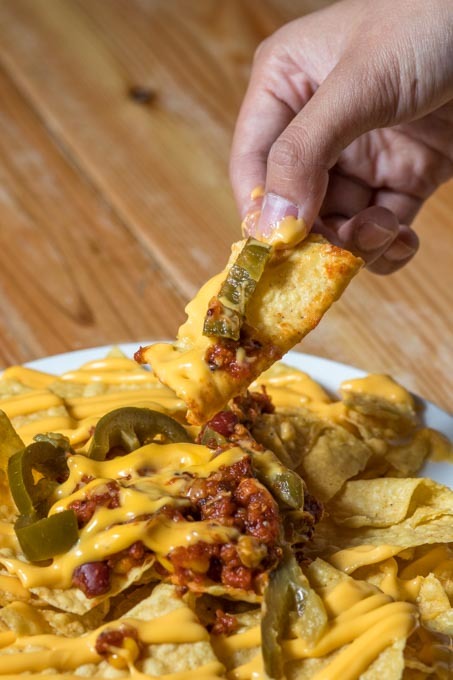 In the nachos’ case, the meaty chili’s replaced by corn, quinoa, and beans covered with cheese and jalapeño. The crispy fish tacos are a creamy treat. The beer battered fish fillet in a not-so-hard taco shell is generously showered with garlic sauce. The seafood sits on lush Asian slaw at the bottom of the bite-size appetizers. Fan of uni or sea urchins? This carbonara is for you. Bohemia also has rice meals. 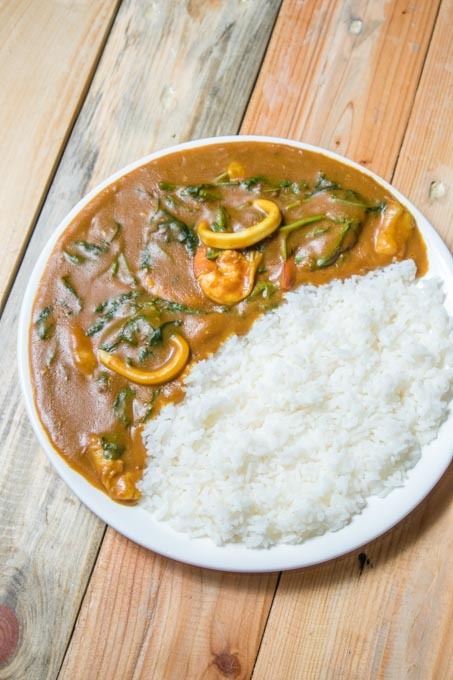 This is seafood curry rice with Japanese curry, squid, fish, and shrimp. The star of Bohemia’s menu may be the creamy uni pasta. 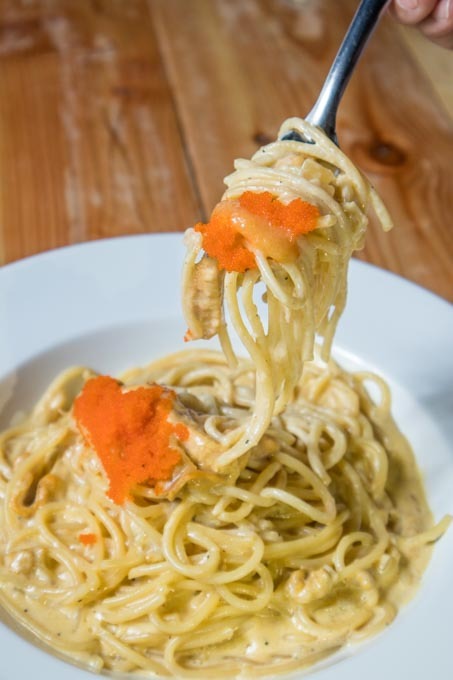 It’s carbonara enriched by the flavors of uni or sea urchin, and topped with, wait for it, more uni. As a person who gets umay easily, this rich, velvety pasta spared me from that ordeal. If you want to cut the creaminess in your palate, try their hefty ahi tuna burger served with fries and pair with Drop Zone, Nipa Brew’s Indian Brown Ale that has hints of bitter dark chocolate, toasted caramel, and nutty notes. But if you’re not in the mood for beers, Nipa Brew has a tangy alternative, Fizzo Calamansi Jasmine Soda. At their grand opening, Bohemia had an open mic night. “We set up the stage at 8 p.m. and whoever wanted to sing and play instruments, the stage was ready,” says Que. At 11 p.m., the invited musician started playing his set. If asked if this would be a regular thing at Bohemia, Que says yes. She’s also planning on having movie nights here. “Since Thursday nights are slow here in Poblacion, I’m planning to do movie nights on that day,” says Que. It’s apt, anyway, with all the condos nearby and how fast-paced the life is, she sure knows what the market looks for now. 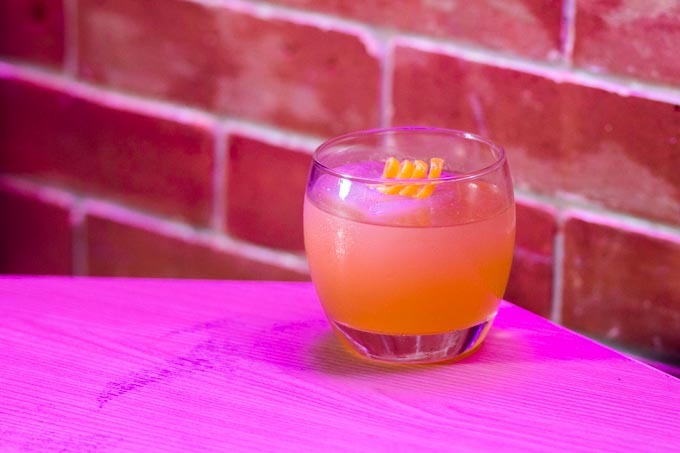 La Vie Boheme, a bourbon drink with passionfruit, elderflower, and lemon.